Denon reveals £800 D-X1000BD 2.1 Blu-ray system | What Hi-Fi? Like the Marantz it's a 2.1 system, which will sell for £900 with speakers, or £800 without. Power is rated at 2 x 65W, there's an FM tuner (but not DAB) included, plus Dolby Virtual Speaker technology and an input for Denon's range of docking stations. There's also an Ethernet port for BD-Live connection on Blu-ray discs. 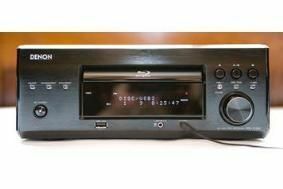 However, the Denon D-X1000BD is not 3D-ready.